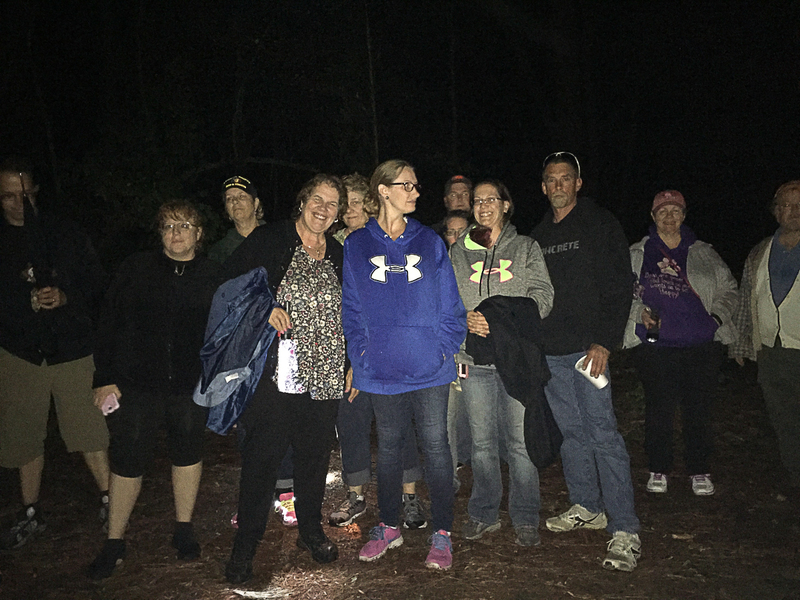 Into the Haunted Forest – The Pocomoke Ghost Walk is the only on of the Chesapeake Ghost Walks that includes a walk into the Pocomoke Forest – one of the most haunted places in all of the Eastern Shore. No other single forest in the Mid Atlantic Region has as many ghost tales associated with it, except perhaps the Great Dismal Swamp. The ghost walk begins with the Pocomoke River walk where the guide will describe how a Baltimore Sun reporter once stated that “the river takes one life a year. If it misses a year, it’ll take two the next.” Because of the River’s black color, there is no ambient light just 4-6 feet below the surface. It’s the deepest river for its width in the USA and the second deepest in the world. Then the guide brings guests through Pocomoke City and describes spirits that haunt the River Gem Inn, the old Armory, the Mar-Va Theater, Cosden House and other sites in town. Bu the spookiest part of the walk is when guests follow the guide into the forest and hear about spirits and aliens that have been known to haunt the forest. The cypress trees make for a spooky background – all of them seem to have faces. THIS WALK CAN BE VERY SCARY FOR CHILDREN. Parents, please use discretion. ents are shared while standing outside the property. MEETING PLACE: Meet 15 minutes before the start of the tour UNDER THE PAVILION in the municipal parking lot at Front and Market Streets. This lot is across the street from the Discovery Center. Look for the Pavilion. Your guide will be waiting there. **For this walk – insect repellent is strongly suggested. Is this whole walk a mile? Or is it a mile there and another back, for a total of 2 miles? Hello, Shawn. The walk is about 1.5-2 miles of total walking. However, it is stop and go and the walk itself lasts about an hour and a half to two hours. Hope that helps! Anyone know if there’s close by over night lodging? Yes Heather. There’s a wonderful B&B in Pocomoke called the River Gem Bed & Breakfast. It’s also ON OUR TOUR. There is also a Holiday Inn Express on the highway in Pocomoke. Hi Cathy. Only the Vance Miles House in Marion will be on the October tours. We’ll pick the town sites back up in January when we do the bus tours. The Vance Miles tours are on the October calendar now and tickets are for sale. Check out the calendar at http://www.chesapeakeghostwalks.com/events Thanks for your interest. Very much looking forward to this. Thanks for offering it. Can we bring our dog on this walk ?